Our powerful WYSIWYG (what you see is what you get) editor allows you to quickly create and publish web content without writing a single line of HTML or CSS code. The interface is intuitive as it resembles the icons used in popular word processing and desktop publishing programs. 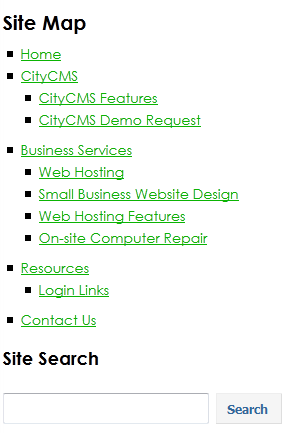 CityCMS uses Apache Solr to index and search your website's content. Each time you update your site, we update the index. This means no more out of date searches or slow, inaccurate results. Never worry about having a site map that is out of date for website visitors. 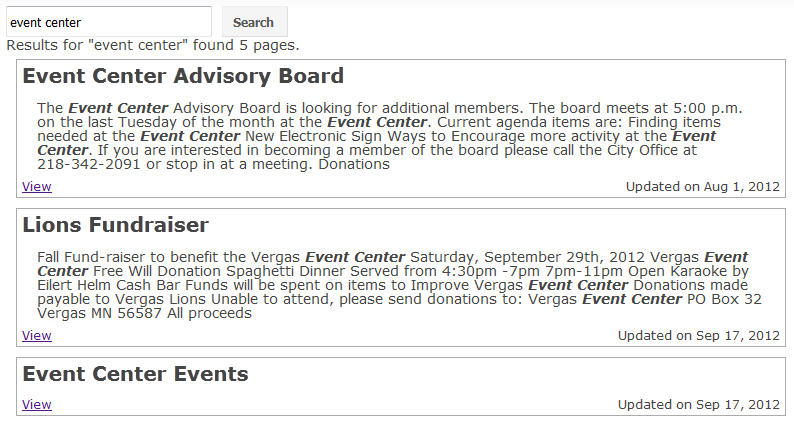 We also provide an update XML site map for submission to Google or other search engines. CityCMS allows for collaborative editing and management of your website, so stay on top of what is happening to your website with our Activity Feed. 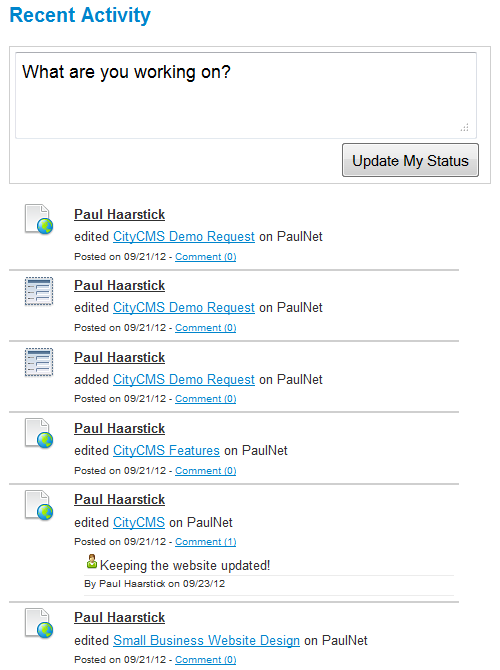 All adds, edits, user statues, and comments get aggregated and displayed right when you login to the CMS.